Laura Nelke has been a watercolorist for over 25 years and is a juried member of both the Wisconsin Watercolor Society and the Wisconsin Visual Artists, NE Chapter. A New Yorker by birth, Nelke has a Bachelors Degree in Art from Bucknell University and a Masters Degree in Art History from the University of Chicago. After moving to Pennsylvania she began studying watercolor techniques at the Baum School of Art. Later, as a resident of Wisconsin, she refined and expanded her painting skills, at numerous workshops led by a variety of nationally and internationally recognized watercolor artists. The artist’s paintings have been juried into shows at Marshfield’s New Visions Gallery, Wausau’s Center for the Visual Arts, and the Riverfront Arts Center in Stevens Point, as well as in museums and galleries around the state of Wisconsin. 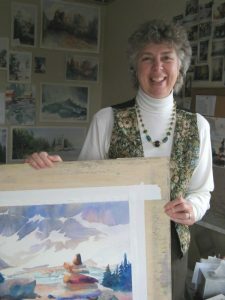 Her watercolors have received awards of excellence at regional shows as well as at the state level and are held in private collections both locally and nationally. Her paintings were selected to illustrate multiple editions of the Marshfield Clinic’s Fine Art Calendar. Other catalog publications of her work include the Richeson 75 International Art Competition: Landscape Seascape & Architectural 2009. 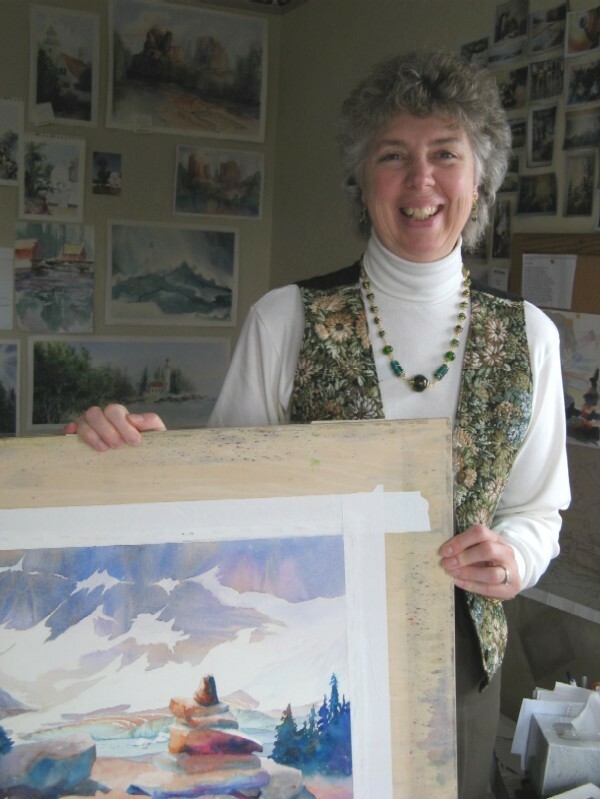 Nelke previously taught watercolor classes at the University of Wisconsin, Wood County campus through the Office of Continuing Education, and conducted workshops at the Chestnut Avenue Center for the Arts and privately in her Marshfield studio. Her teaching experience includes both youth and adult learners. Currently the artist focuses more on art journaling as a means of recording special events and travel memories. Compact and easily transportable, these journals combine images with text and attempt to interpret and record personal experiences and responses to various overseas adventures. In addition to watercolor the artist now may employ collage, watercolor pencils, brush pens, flare pens, as well as pen and ink to achieve her desired results. Each new page turned offers an opportunity to move in a different artistic direction–an exciting fuel that keeps artistic juices flowing!